The JESBC is an open-access journal. Articles are published online as they are accepted; bound copies are printed every December. Cover: A male Andrena sp. bee (Hymenoptera: Andrenidae) foraging on sage buttercup (Ranunculus glaberrimus) in the central Okanagan, 11 March 2015. 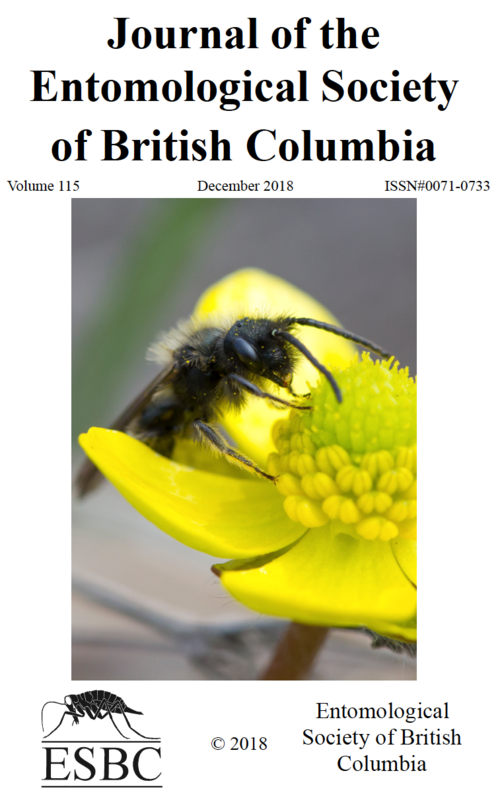 In this issue Sheffield and Heron present a checklist of the bees of British Columbia which includes 483 species – 37 of which are new provincial records and 20 of which are new Canadian records. Photograph details: Photograph by Robert Lalonde (UBC Okanagan). This photograph was made with a Canon EOS digital rebel T2i equipped with a Canon 100mm macro lens; ISO 800; f5.6 at 1/320 sec.